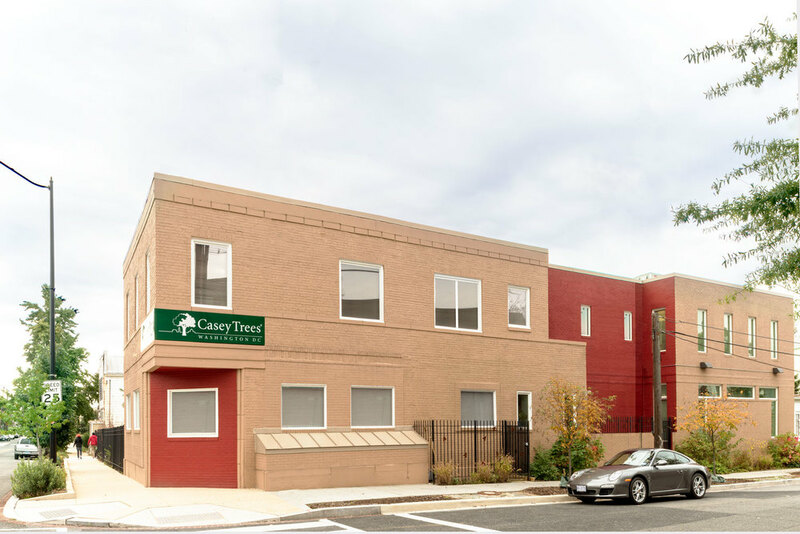 Casey Trees is a non-profit environmental organization dedicated to protecting and restoring the tree canopy of Washington DC. 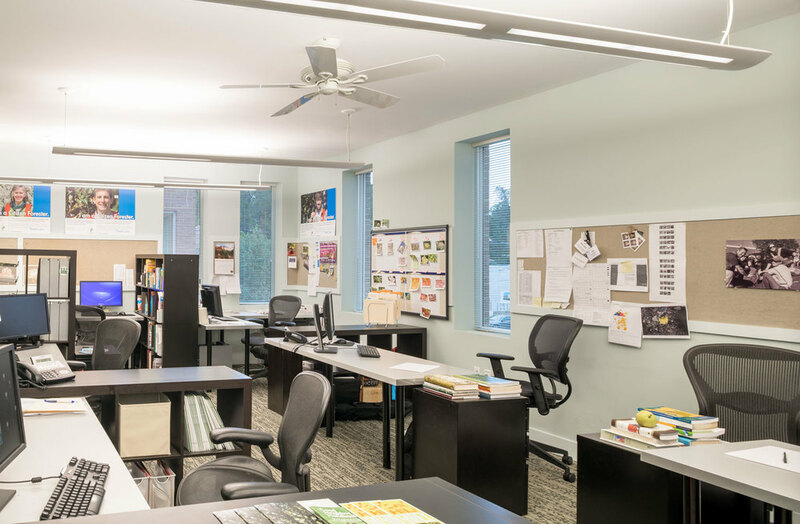 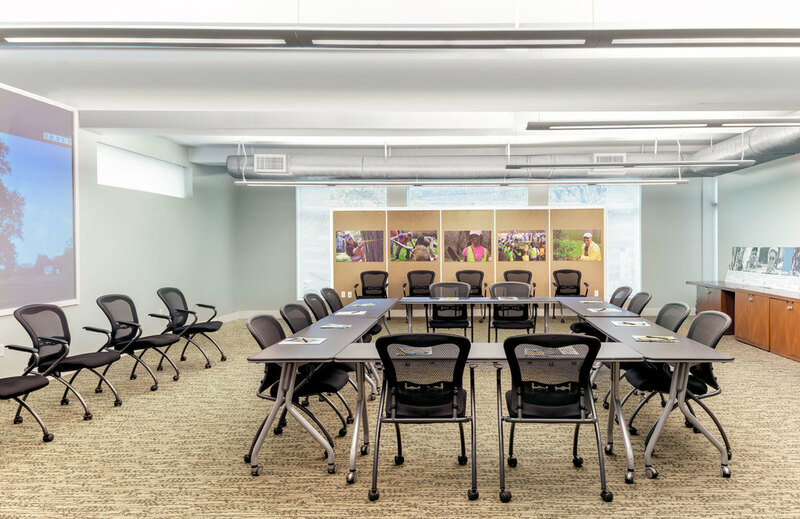 Two dilapidated buildings were renovated and a third structure was added to create one seamless, urban campus, with room for staff, classes and a new large conference space for workshops and community gatherings. 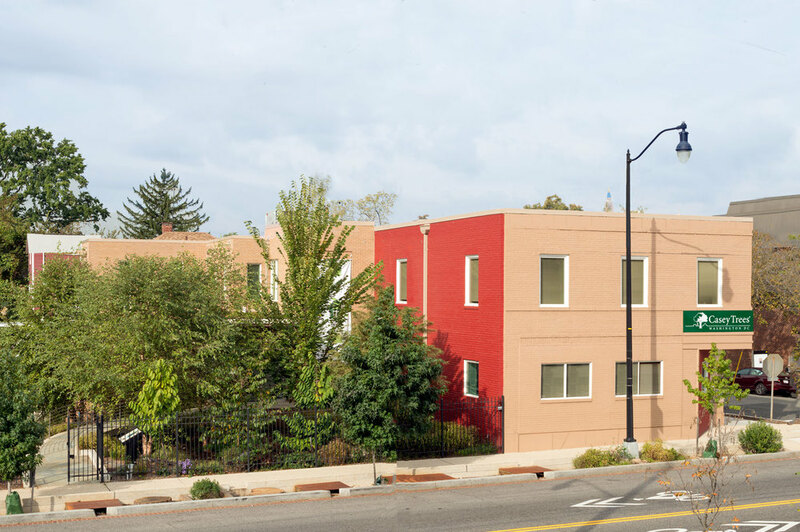 In addition to being a model of adaptive reuse, the Casey Trees building demonstrates strategies for responsible urban ecology and storm water management, featuring a large bioretention planter to eliminate storm water runoff, three green roofs with different construction and plantings, and a “cool” white roof to save energy and reduce heat island effect.